Growing up, I used to follow my dad to his office in KL, during weekends. While he got some work done, I got to raid the pantry and helped myself to the boxed drinks in the fridge (explains why I was so chubby). After that, he would take me to his favourite mee rebus stall at Jalan Kamunting for lunch. 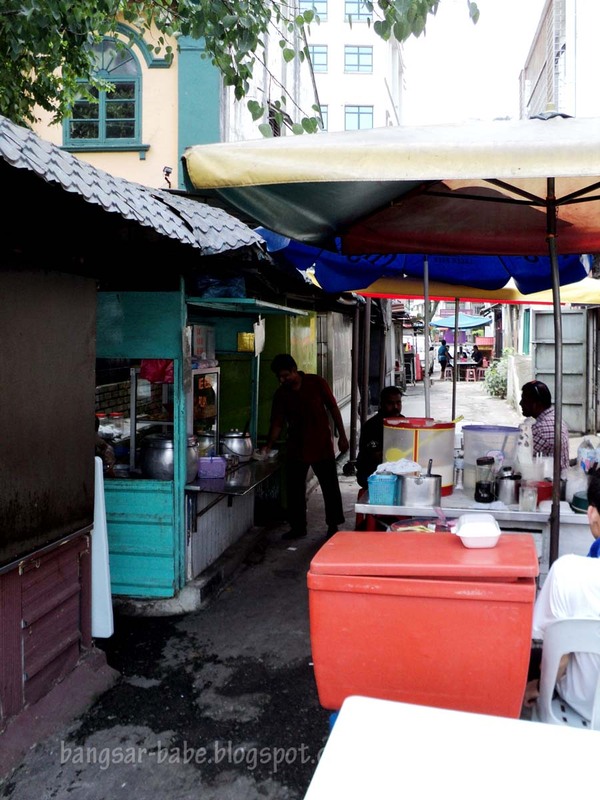 My dad is a simple man and he enjoys eating hawker food — I think I picked up this trait from him. Many people get put off by eateries at the back alley, but I kind of like the ‘feel’ back alley gives. 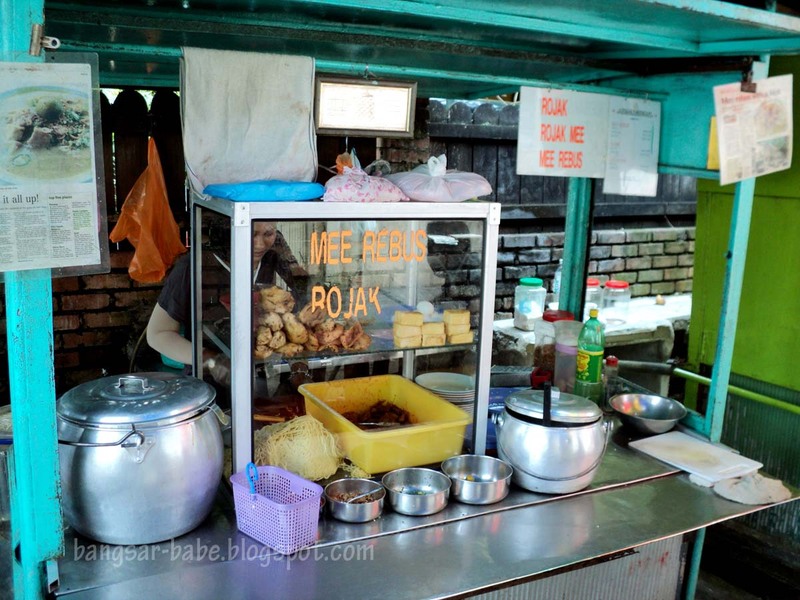 This mee rebus stall is one of them. The stall has been around for quite some time. I remember eating here when I was 5 or 6 years old. Back then, a plate of mee rebus cost RM2 and RM2.50 if you add sotong. Now, a plate of mee rebus sotong cost RM5. 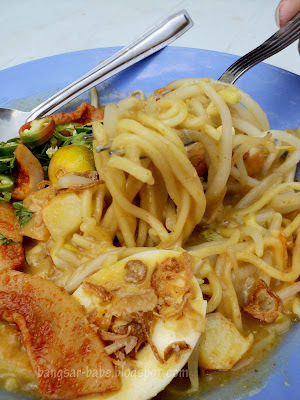 This mee rebus comprised a hard-boiled egg (halved), tofu, potato cubes, beansprouts, sotong, fried shallots and chopped green chilli. I don’t fancy eating mee rebus, because I find the gravy a bit lacking. But I always make an exception for this, as the gravy is robust and thick with a hint of curry flavour. Portion is a bit on the small side (especially when you’re hungry), but that’s probably just my greed talking. Go try this for yourself. 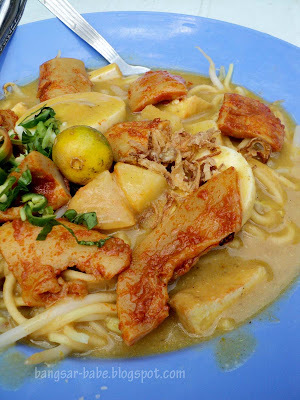 If you’re one of those people who can’t stand eating by the drain (like my mum), you can opt to takeaway your mee rebus. Verdict: Pretty good mee rebus, but slightly pricey considering the portion. Oohh a back alley experience eh? 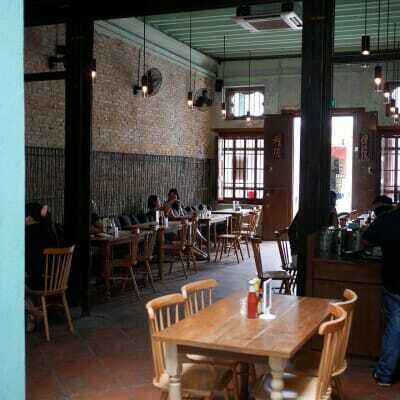 Somehow the taste of food at back alley tastes a little bit better huh, with the additional aroma and ambience. LOL! I don't know, I felt the same when I had laksa next to the drain back in Penang. Just tasted better! the original stall owner has gone back to India, so it has changed hands many years ago. Unka – I think they still allow it. 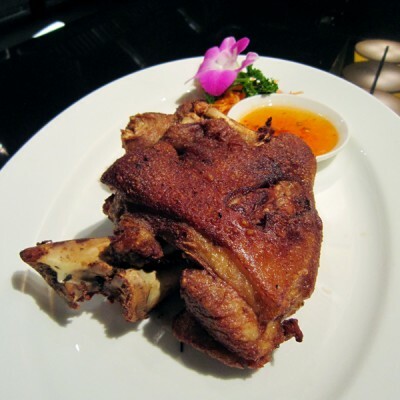 J – But portion quite small! Julian – Wait till you see pictures of me as a kid! Baby – Hehehe…I don't think rats will come out that time. Cockroach more likely. vialentino – Lemme know if you like it! Sandy – I've never had Kedah Mee Rebus before. Anywhere in KL I can find one?